On this day in history January 1, 1863, President Abraham Lincoln issues the Emancipation Proclamation, which immediately goes into effect freeing all the slaves in rebel territories but not in the Union or Border States. 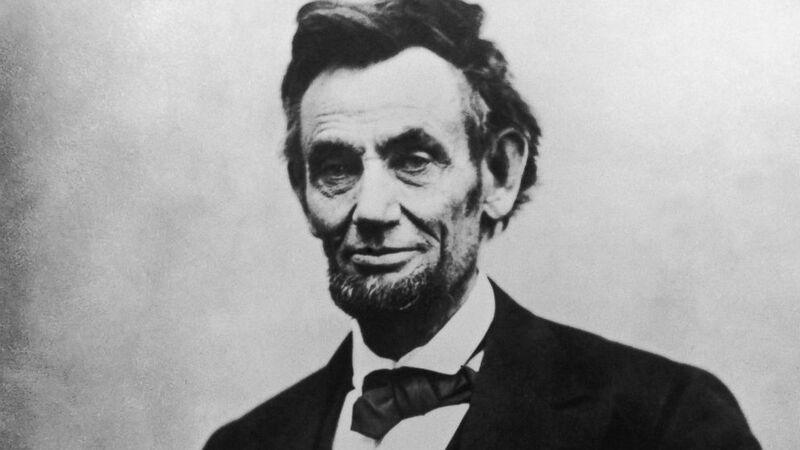 Lincoln used the vacancies in Congress to determine the areas still under rebellion versus those under Union control. Representatives in Union captured territories returned to Congress under supervision. The proclamation marked a turning point in the Civil War, where Lincoln made it not only about reunifying the North and South but also eradicating slavery in America. The proclamation also branded the Confederacy as a slave state to foreign countries ending the possibility that Britain or France would recognize and aid the Confederacy as a separate nation, which they needed desperately if they had any chance in the war. Britain opposed slavery and without the Confederacy freeing the slaves, they would never get recognition. The Border States’ decision led Lincoln to support the Radical Republicans’ idea of emancipation. On July 13, Lincoln told Secretary of State William H. Seward and Secretary of the Navy Gideon Welles of his intention for the Emancipation Proclamation. Welles recounted that Lincoln said it was “a military necessity, absolutely essential to the preservation of the Union. We must free the slaves or be ourselves subdued. The slaves were undeniably an element of strength to those who had their service, and we must decide whether that element should be with us or against us.” Lincoln did not see the Border States as the issue, but “the blow must fall first and foremost on [the rebels]. . . . Decisive and extensive measures must be adopted. . . . We wanted the army to strike more vigorous blows. The Administration must set an example, and strike at the heart of the rebellion.” Lincoln faced the greatest opposition from General George B. McClellan, who staunchly was against the move. The president only intended to free the slaves in the 10 states that seceded the Union and joined the Confederacy, it was an ultimatum if they do not return to the Union, and their prized slaves would be free, 3.5 to 4 million of them. If the southern states refused to abide, the slaves would leave the South and join the Union army, both adding to their army and be depriving the South of their labor force. In the final Emancipation Proclamation, Lincoln purposely excluded freeing the slaves within the Union, especially within the Border States (Kentucky, Maryland, Delaware, and Missouri). Lincoln needed the Border States to stay in the Union, and could not offend them, there slavery only ended with the passage of the Thirteenth Amendment in December 1865. Lincoln also excluded any Southern territory under Union control including Tennessee, Lower Louisiana, and West Virginia. In August, Lincoln made the case for his delayed proclamation. The slavery issue was at the forefront, Abolitionists were annoyed at Lincoln for not making a decisive move, he had support from some War Democrats, a few becoming Republicans but he faced a more formidable obstacle with Peace Democrats or Copperheads. In Congress, the division was stark; there were four slavery votes as McPherson recounts, “The war article prohibiting the return of fugitives, emancipation in the District of Columbia, prohibition of slavery in the territories, and the confiscation act.” The chasm was near unanimous, 96 percent of Democrats opposed the bills, while 99 percent of Republicans voted in favor. Lincoln relied on Democrats votes when elected president but to pass his legislation he needed to maintain the Republican majority in Congress. Northern Democrats and Midwest Whigs feared emancipation, and the anti-black sentiment was high in the summer of 1862. To squelch their concerns, Lincoln supported colonization for blacks. On August 14, 1862, Lincoln invited black leaders to the White House and the press to make a statement on the position of black if they would be freed and colonization. Lincoln called slavery “the greatest wrong inflicted on any people,” but he said, “Your race suffer very greatly, many of them, by living among us, while ours suffer from your presence.” Lincoln seemed certain that there would be no equality between the races, saying, “There is an unwillingness on the part of our people, harsh as it may be, for you free colored people to remain among us. . . . I do not mean to discuss this, but to propose it as a fact with which we have to deal. I cannot alter it if I would.” (McPherson, 508) Lincoln’s solution was to create a colony for the freed slaves in Central America and in 1863; there was a failed effort to colonize an island near Haiti. On August 20, 1862, newspaper editor and abolitionist, Horace Greeley challenges the president in an open letter editorial “The Prayer for Twenty Millions” in his paper the New York Tribune urging Lincoln to free the slaves in Union territory. Greeley was a reformer that created his paper in 1841 to give a voice to the “temperance, westward expansion, and the labor movement,” and abolitionism to which he was most passionate about. Greeley was instrumental in establishing the Republican Party in 1854, with preventing the spread of slavery a key issue. Both Greeley and freed slave Frederick Douglass had been urging President Lincoln to change his policy and take a stand on slavery. Greeley hoped with the Civil War, Lincoln would emancipate the slaves but the president was reluctant to alienate the border states Missouri, Kentucky, Maryland, and Delaware who did not secede from the Union. Even after he would emancipate the slaves, Lincoln did not include abolishing slavery in those states. Unbeknownst to Greeley, Lincoln already informed his cabinet nearly a month before on July 22, his plans to emancipate the slaves in the rebel Confederate states. By September, Lincoln would have the military success necessary. The South was having military victories in the East but it was taking a toll, neither did Europe decide to recognize the Confederacy. In desperation General Robert E. Lee took his Army of Northern Virginia to Maryland, hoping for a decisive offensive victory where the Confederacy would acquire the border state. On September 17, Lee met McClellan’s Army of the Potomac at Antietam Creek for one of the bloodiest battles of the war. McClellan was able to push back Lee’s army, although not a major victory, it was enough for Lincoln to move forward on the Emancipation Proclamation. On September 22, 1862, President Abraham Lincoln issued a preliminary Emancipation Proclamation setting the date to free all the slaves in the rebel Confederate territories during the Civil War causing ire from abolitionists, who believed the president should also free the slaves in Union territory, a glaring omission in the proclamation. President Lincoln waited for a clear Union victory as there was in Antietam to make the announcement on a decision he made more than two months earlier in July. The proclamation warned the Southern Confederate states if the rebellion and Civil War did not end by January 1, 1863, all their slaves would “be then, thenceforward, and forever free.” The proclamation would free 3 million slaves and turn the war from just a fight over states rights and saving the Union to a clear fight against the institution of slavery. Signing the Emancipation Proclamation on New Year’s Day, Lincoln recognized the historical impact, as Holzer recounts, “Then he looked at the signature — Abraham Lincoln — very proudly and said, ‘There, that will do,’ He had said right before that, if my name ever goes into history it will be for this act. He sensed immediately that he had become one of the immortals. Lincoln understood a Constitutional amendment would be necessary to outlaw slavery permanently. Union generals, however, were able to benefit and as they captured Confederate land, they could free and put the former slaves to good use in the war. Carnahan, Burrus M. Act of Justice: Lincoln’s Emancipation Proclamation and the Law of War. Lexington: University Press of Kentucky, 2011. Donald, David H. Lincoln. New York, N.Y: Simon & Schuster, 1996. Findling, John E, and Frank W. Thackeray. Events That Changed America in the Nineteenth Century. Westport (Conn.: Greenwood Press, 1997). Guelzo, Allen C. Lincoln’s Emancipation Proclamation: The End of Slavery in America. New York: Simon & Schuster, 2004. Holzer, Harold. 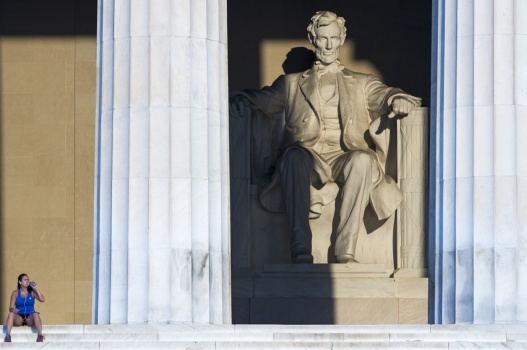 Emancipating Lincoln: The Proclamation in Text, Context, and Memory. Cambridge, Mass: Harvard University Press, 2012. McPherson, James M. Battle Cry of Freedom: The Civil War Era. New York: Oxford University Press, 2006. Bonnie K. Goodman has a BA and MLIS from McGill University and has done graduate work in religion at Concordia University. She is a journalist, librarian, historian & editor, and a former Features Editor at the History News Network & reporter at Examiner.com where she covered politics, universities, religion, and news. She has a dozen years of experience in education & political journalism. On this day in history July 22, 1862, President Abraham Lincoln announces to his advisors and cabinet his intentions to issue an Emancipation Proclamation, to free the slaves in the rebellious states but agrees to do so only and when the Union has a decisive victory in the Civil War. At this point, the Confederate states were winning battles and Britain and France were on the verge of recognizing them as a country and already supplying them with warships. Lincoln did not look to free the slaves for their sake but for the future of the Union, he needed to weaken the Confederacy. On August 22, 1862, Lincoln made his intentions clear and responded to a challenge over freeing the slaves by New York Tribune editor and critic Horace Greeley. In an open letter published in the National Intelligencer Lincoln expressed, “My paramount object in this struggle is to save the Union, and it is not either to save or to destroy slavery.” Continuing Lincoln explained, “If I could save the Union without freeing any slave I would do it, and if I could save it by freeing all the slaves I would do it; and if I could save it by freeing some and leaving others alone, I would also do that.” In the months, leading up to his announcement Lincoln slowly prepared the Union for his radical policy. on the part of our people, harsh as it may be, for you free colored people to remain among us. . . . I do not mean to discuss this, but to propose it as a fact with which we have to deal. I cannot alter it if I would.” (McPherson, 508) Lincoln’s solution was to create a colony for the freed slaves in Central America and in 1863; there was a failed effort to colonize an island near Haiti. On this day in history June 16, 1858, Abraham Lincoln accepted the Illinois state Republican nomination for Senator, where he delivered his “House Divided” speech, about the future of slavery in which he declared, “a house divided against itself cannot stand.” Lincoln would be facing off against Democrat Stephen A. Douglas in the election. Lincoln worked on the speech for weeks, memorized it, and delivered his half-hour message to the Republican State Convention in Springfield, Illinois. Lincoln used the gospels “a house divided” theme to emphasize the breaking point that slavery was sending the country. Lincoln believed that Douglas’ 1854 Kansas-Nebraska Act, allowing the territories to decide whether they would be slave or free and the Supreme Court’s 1857 Dred Scott decision protecting Southern slave owners bringing their slaves in Free states, as pushing that slavery would be accepted throughout the nation. Lincoln would lose against Douglas in round one but would go on to win the presidency in 1860. His House Divided speech’s doomsday view did not foreshadow, however, that in two years slavery would not expand but the slave states succeed pushing the nation to Civil War, with the Union on the line. The “House Divided” speech is considered one of Lincoln’s best and most historically memorable along with the Gettysburg and his second inaugural addresses. 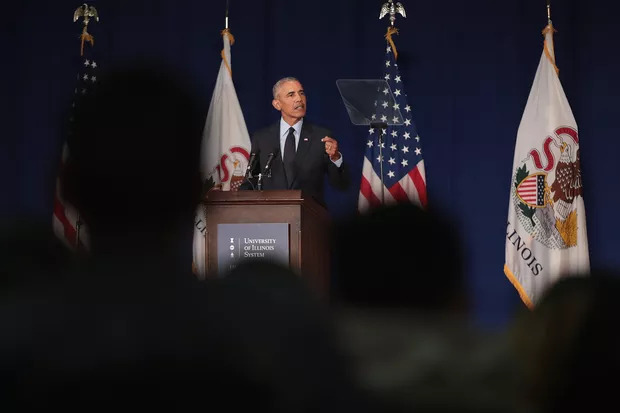 He was warning the Republicans against compliance regarding the expansion of slavery, arguing the status quo could not “stand,” and that the government had the power to end slavery. Lincoln’s most notable part of his speech quoted the biblical “house divided,” notably in the Gospels of Mark and Matthew. Lincoln, however, was not the first American politician to use the line to describe the danger slavery posed to the Union, Texas Senator Sam Houston used a similar line “A nation divided against itself cannot stand,” when debating the Compromise of 1850 regarding slavery in the newly acquired territories during the Mexican-American War. 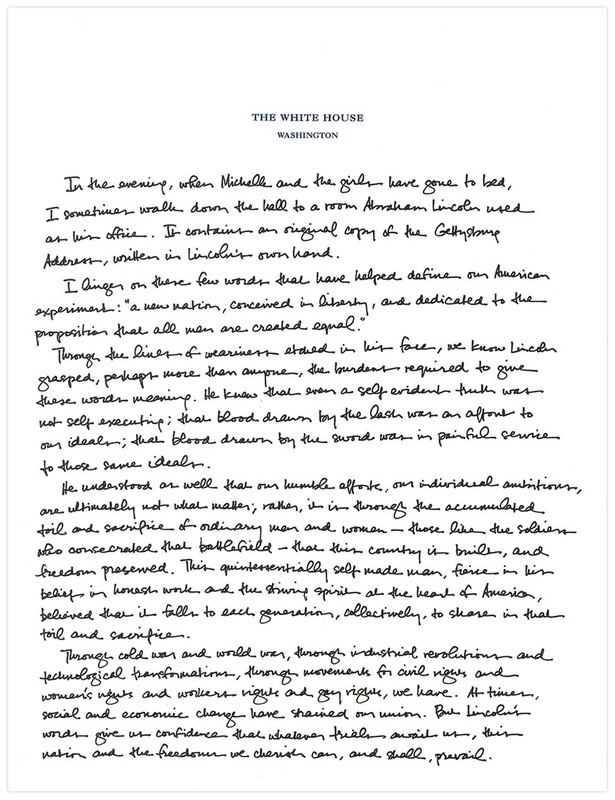 Lincoln divided his speech into three parts. The first was the “House Divided” introduction on the meaning of Republicanism in opposition to slavery and its expansion. The second section was the proslavery conspiracy facilitated by the courts and government but mostly his opponent Douglas. The third and last section was the “living dog” one, where Lincoln refuted that Douglas was an antislavery leader because he opposed and voted with Republicans against the Lecompton Constitution that would have made Kansas a slave state. Lincoln argued that the country could go either way, but a vote for Douglas because of his advocacy of popular sovereignty would push the country towards morally accepting slavery. As Lincoln pointed out, “Auxiliary to all this, and working hand in hand with it, the Nebraska doctrine, or what is left of it, is to educate and mould public opinion, at least Northern public opinion, to not care whether slavery is voted down or voted up.” Lincoln would continue to use the image as Douglas complicit in the “proslavery conspiracy” as he ran for president against him in 1859 and 1860. The speech made Lincoln appear as a “radical,” to both his party and to Douglas, who used it against Lincoln, accusing him of being a fanatic that would advocate racial equality. The two candidates would go on to debate three times during the campaign known as Lincoln-Douglas Debates. In the end, the Democratic majority in the state legislature worked in Douglas’s favor garnering him 54 to 46 votes, however, Lincoln would use his speech and campaign to launch himself on the national stage. In 1860, he would beat Douglas this time in the presidential campaign. Lincoln’s foreshadowing would come to fruition, just not as he argued it would. The nation, the “house divided against itself cannot stand,” and did not as the Southern slave states seceded from the Union upon Lincoln’s election, launching the country into a civil war that finally put an end to the slavery question, with the country entirely free of slavery. Donald, David H. Lincoln. New York, NY: Simon & Schuster, 1996. Fehrenbacher, Don E. Prelude to Greatness: Lincoln in the 1850’s. Stanford, Calif: Stanford University Press, 1962. Foner, Eric. The Fiery Trial: Abraham Lincoln and American Slavery. New York: W.W. Norton, 2012. Lincoln, Abraham, Henry L. Gates, and Donald Yacovone. Lincoln on Race & Slavery. Princeton: Princeton University Press, 2009. Even Lincoln’s friends regarded the speech as too radical for the occasion. His law partner, William H. Herndon, considered Lincoln as morally courageous but politically incorrect. Lincoln read the speech to him before delivering it, referring to the “house divided” language this way: “The proposition is indisputably true … and I will deliver it as written. I want to use some universally known figure, expressed in simple language as universally known, that it may strike home to the minds of men in order to rouse them to the peril of the times.”On June 16, 1858 more than 1,000 delegates met in the Springfield, Illinois, statehouse for the Republican State Convention. At 5:00 p.m. they chose Abraham Lincoln as their candidate for the U.S. Senate, running against Democrat Stephen A. Douglas. At 8:00 p.m. Lincoln delivered this address to his Republican colleagues in the Hall of Representatives. 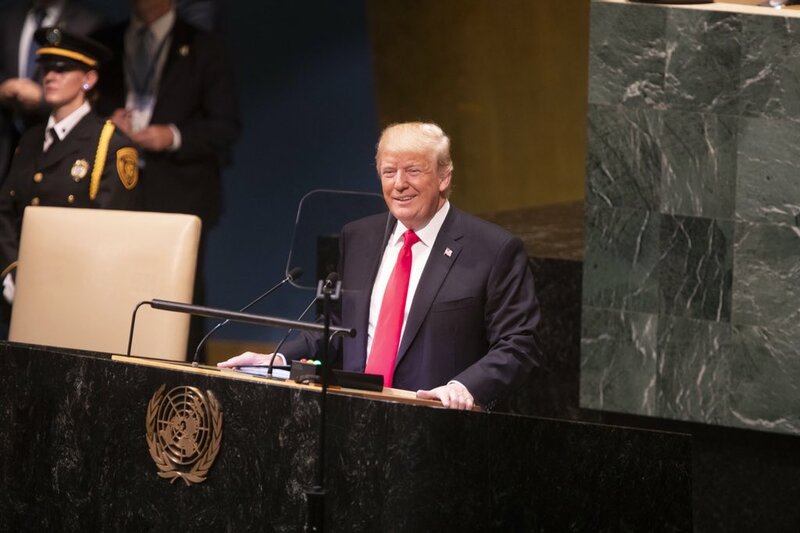 The title reflects part of the speech’s introduction, “A house divided against itself cannot stand,” a concept familiar to Lincoln’s audience as a statement by Jesus recorded in all three synoptic gospels (Matthew, Mark, Luke). If we could first know where we are, and whither we are tending, we could then better judge what to do, and howto do it. Let any one who doubts, carefully contemplate that now almost complete legal combination — piece of machineryso to speak — compounded of the Nebraska doctrine, and the Dred Scott decision. Let him consider not only whatwork the machinery is adapted to do, and how well adapted; but also, let him study the history of its construction, and trace, if he can, or rather fail, if he can, to trace the evidence of design and concert of action, among its chief architects, from the beginning. Secondly, that “subject to the Constitution of the United States,” neither Congress nor a Territorial Legislaturecan exclude slavery from any United States Territory. They remind us that he is a great man, and that the largest of us are very small ones. Let this be granted. But “a living dog is better than a dead lion.” Judge Douglas, if not a dead lion for this work, is at least a caged and toothless one. How can he oppose the advances of slavery? He don’t care anything about it. His avowed mission is impressing the “public heart” to care nothing about it. A jogger takes a break as the early morning sun shines into the Lincoln Memorial Aug. 13, 2012, in Washington, D.C.
Tuesday, Feb. 12 is Abraham Lincoln’s 204th birthday. There’s a renewed interest in the man considered to be one of the nation’s greatest presidents following Steven Spielberg’s “Lincoln,” which has made over $200 million worldwide. It’s also been nominated for 12 Academy Awards, including Best Picture, Best Director and Best Actor for Daniel Day-Lewis’s captivating depiction of Lincoln.